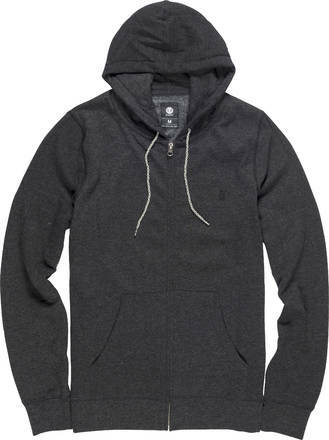 The Cornell skate hoodie from Element is made from an overdyed brushed fleece. Comfortable to wear and with ribs at the cuffs and on the hem. It has a full length zipper and kangaroo pockets on the front.